For the second consecutive year the Malta Council for the Voluntary Sector through the Voluntary Organisations Fund awarded a number of projects undertaken by voluntary organisations under the Small Initiatives Scheme. 23 Voluntary organisations enrolled with the Commissioner for Voluntary Organisations were awarded over €64,000 between them for project ranging from €1,000 to €3,000. This scheme is intended to complement other funding initiatives to voluntary organisations such as the Good Causes Fund, the Youth in Action Programme and the Lifelong Learning Programme. 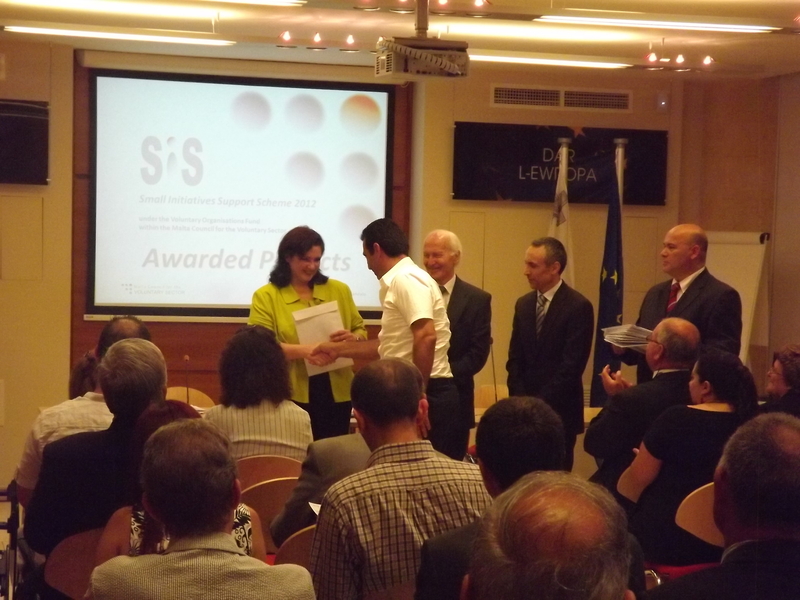 The Grant Award ceremony which was held on the 14th June 2013 at Dar l-Ewropa in Valletta was opened by the MCVS Chairperson Mr. Farrugia. In his speech Mr. Farrugia gave an overview of the reason why the Scheme was set up and said that the resulting projects are encouraging. He added that it is the intention of the Council to try and increase the fund for next year’s projects. The Hon. Dr. Helena Dalli, Minister for Social Dialogue, Consumer Affairs and Civil Liberties, said that the sense of “civic commitment” of people who dedicate their personal time to voluntary work is based upon the conviction that citizens are especially responsible for those who, for diverse reasons, were inhibited from their civic and social rights, or were victims of sickness, injustice, and misfortune. She said that this commitment is also based on the conviction that other people must be made aware on various issues ranging from disability, prevention of illness, diversity and the need to appreciate the arts. The Minister said that the government has the responsibility to legislate and introduce measures and incentives to help and support the voluntary sector in its difficulties and challenges. Prof. Kenneth Wain, Commissioner for the Voluntary Sector was present for the event. Get to know it better. 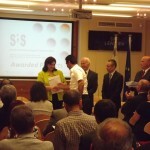 Migrants Integration in the Maltese Society. Stop the Violence “Speak out for Girls’ Rights”.